Temperatures in the low 80's combined with the beauty of the Central Coast draw visitors from the nearby sweltering San Joaquin Valley during the summer months. Here they can cool off while enjoying the sun and fun at the local beaches. 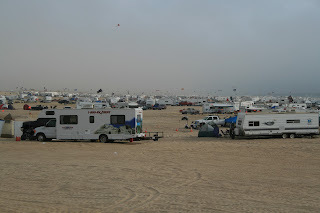 Oceano Beach is one of the only places in California that allows you to drive on and either use the beach for the day or for overnight camping. Everything from riding ATV's, Surfing,and Paragliding to renting horses at a local stable or a Bi-Plane to fly over the beach is available. You can even cruise the beach from the seats of a Hummer. Campsites are limited and making reservations is advised. Also, 4-wheel drive vehicles are recommended and paying careful attention to the tide charts can prevent you from the risk of getting stuck in the sand. During the rainy months a creek forms that can be quite treacherous.